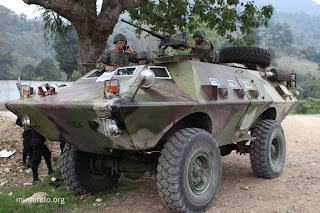 During the early hours of Thursday, May 2, one day after the first anniversary of the state of siege in Santa Cruz de Barillas, Huehuetenango, the Guatemalan government declared another state of siege in four municipalities surrounding Tahoe Resources’ Escobal mine. 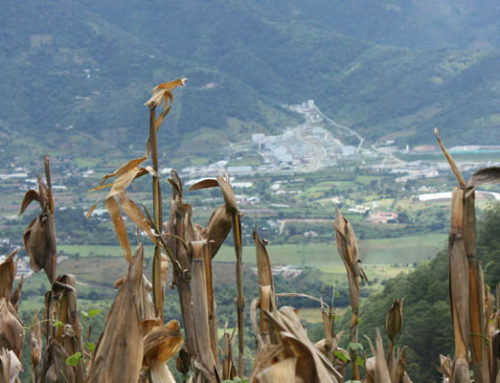 The imposition of martial law comes less than one month after Minera San Rafael, Tahoe Resources wholly-owned Guatemala subsidiary, received its final permit for mineral exploitation. 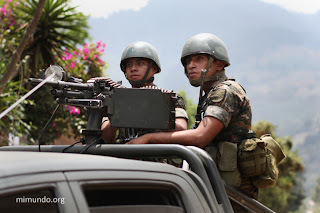 The permit was granted without the consent of the affected communities and in a context of escalating violence and criminalization against human rights defenders and their legal council. Over the past three years, four municipalities, including two of those currently under a state of siege, carried out municipal level community referenda rejecting mining projects in their territory. 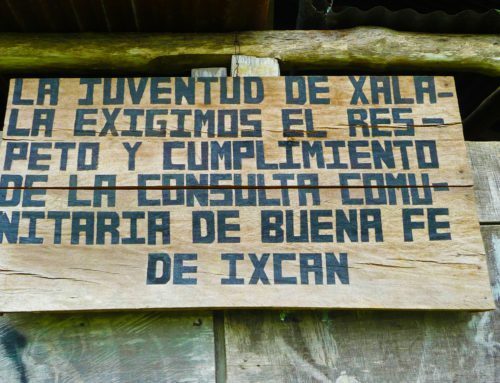 During the past two months, eight villages in San Rafael Las Flores have carried out community referenda, given that attempts to organize a municipal level consultation were thwarted by legal appeals and injunctions filed by individuals who work for Minera San Rafael. In each of these referenda, the population voted overwhelmingly against the Escobal project. In a press conference yesterday, President Otto Pérez Molina and Minister of the Interior Mauricio López Bonilla explained that the suspension of basic civil liberties is in effect for the municipalities of Casillas and San Rafael Las Flores, in the department of Santa Rosa, as well as Jalapa and Mataquescuintla, in the department of Jalapa. While Pérez Molina and López Bonilla claim the state of siege is not in response to mine opposition, their actions suggest otherwise. Prominent community activists, members of the Committee in Defense of Life and Peace, and leaders of the community referenda in San Rafael, had their homes raided by police early Thursday morning. The government has issued at least 18 arrest warrants for individuals allegedly involved in delinquent acts, including Roberto Gonzalez president of the Xinca Parliament and Rudy Pirvaral of the Committee in Defense of Life and Peace. The past week has seen an increase in conflict and violence in the departments surrounding the mine site. On Saturday, April 27 mine security shot at and injured six community members, as they walked on a public road located in front of the mine installations. One of the men remain in the hospital in critical condition. Alberto Rotondo, head of security for Tahoe Resources’ subsidiary, Minera San Rafael, is being held responsible for the attack. Medical personnel confirmed the attack was carried out with live ammunition, as well as rubber bullets, despite initial declarations from the company and López Bonilla which claimed only non-lethal measures were used. 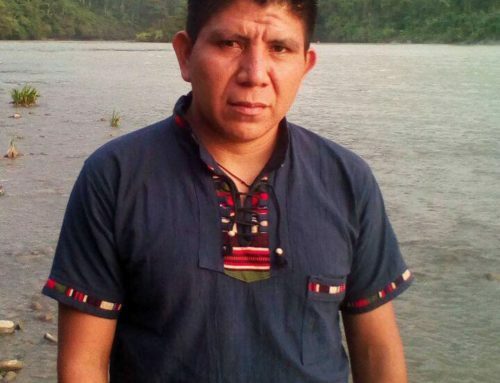 On the morning of April 30, Guatemalan authorities arrested Rotondo in the airport as he attempted to flee the country. Rotondo has been formally charged with attempted homicide. 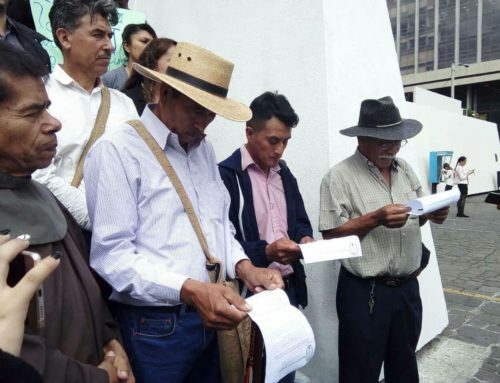 On Monday the 29th, as Minera San Rafael management and the Guatemalan government signed an agreement outlining the royalties to be paid to the state, more than 2,000 residents of San Rafael Las Flores took to the streets in a peaceful march in opposition to the mine project. 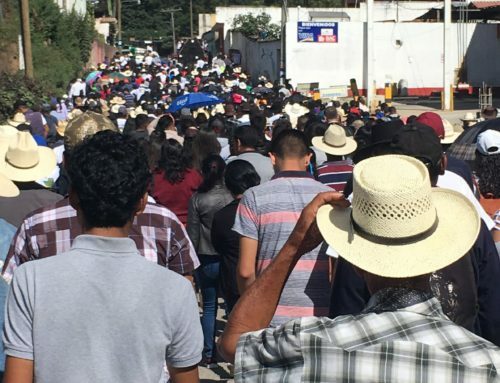 Later that afternoon, community members intercepted and detained 23 members of the national police in Jalapa, believing that they were mobilizing to repress the march in San Rafael. An operation carried out by the national police the following day resulted in the release of the officers. Later that same day, a member of the National Police was killed in an armed attack carried out by a group of masked men in Sabana Redonda, a community located near the mine site. While this incident is still under investigation by Guatemalan authorities, the attack matches the pattern previously denounced by human rights organizations, which is characterized by illegal clandestine groups intent on creating instability in the region and delegitimizing peaceful opposition to the mine. 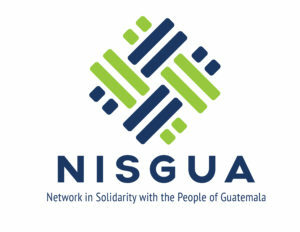 These recent events highlight the need for an in-depth investigation into the attacks and violence being carried out in communities surrounding the mine site, as was called for in the petition of over 4,000 signatures delivered by NISGUA to Guatemala’s Public Prosecutor’s office in early April. Despite government claims on Thursday that they are in dialogue with mine affected communities, the deployment of 8,500 military and police to the four municipalities suggests otherwise. Far from acting as a mediator, the Guatemalan government has instead chosen to respond to conflict with the repression of communities opposing large-scale development projects and the stigmatization of community leaders and human rights defenders. NISGUA has been accompanying the consultation processes in the communities surrounding the Tahoe Resources mine site since 2011.